Safety-critical applications in the domains automotive and avionics as well as the future topic Industry 4.0 show a clear and still increasing demand for digital processing power. This demand for processing power is needed, e.g., for highly automated driving and connected machines with real-time requirements. Furthermore, this demand is substantiated by an increasing interaction and integration with other systems and services. This justifies the usage of multicore technology in embedded systems in the near future, which is already successfully applied in other application domains like PCs, tablets and smartphones. However, safety-critical applications in the above-mentioned domains show many additional complex requirements, which at present can, if at all, only be fulfilled partly with an unjustified high development effort. 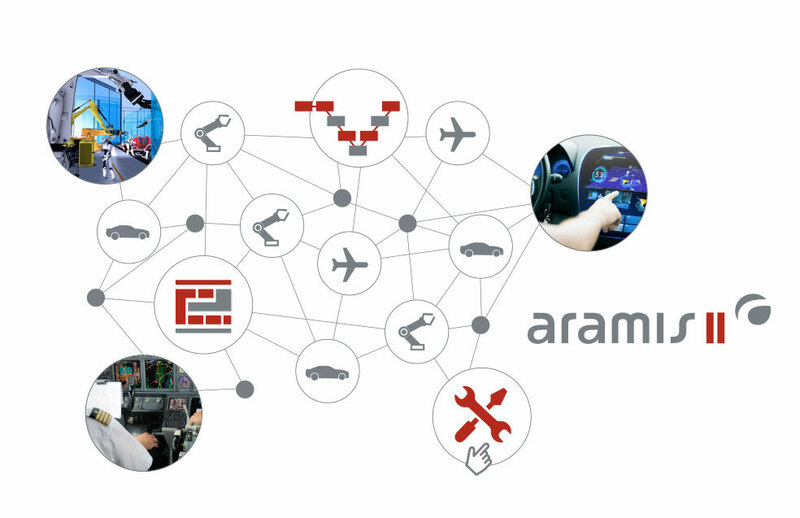 In the ARAMiS Project (duration 01.12.2011 - 31.03.2015) leading companies and research organizations have shown the applicability of multicore architectures in safely-critical applications in prototypical applications. Based on this, the successor project ARAMiS II started on 01.10.2016 focuses on optimizations and the elaboration of development processes, in particular development tools and platforms for the efficient use of multicore technologies. the development and extension of established industrial platforms reflecting multicore-specific requirements. The development process with its methods, tools and platform adaptations is evaluated in ten representative Use Cases from the application domains automotive, avionics, and industrial automation and corresponding demonstrators. Subproject 1 "Demonstrators and Requirements" forming the starting point of the other subprojects with the definition of the foundations. Subproject 2 "Structured Multicore Development" is dealing with the overall challenges of the development and defines the general methodology for developing multicore architectures. Subproject 3 "Multicore Methods and Tools" deals with the individual steps in the development process and extends methods and tools for the individual platforms. Subproject 4 "Multicore Platforms and Architectural Pattern" develops the extensions of the platforms. Subproject 5 "Demonstrator Implementation and Evaluation" validates the results in demonstrators.